Sejal Nagjee, Milestone’s Founder, CEO, and Creative Director is a gifted landscape designer with a unique objectivity. Regardless of the project scale or scope, from homes and offices, hotels and restaurants, to gardens and exterior living spaces, her distinctive style injects a fresh and vibrant perspective into each and every design and build project. She combines these creative skills with a strategic mindset offering clients an all-encompassing custom design experience. Sejal’s natural talent for sports prompted her to take up a professional Table Tennis career in 1980, at age 11. With an International Career spanning over 17 years, she represented India from 1983-1995, and captained the Indian Team in World Championships, Asian Games, Commonwealth games, South Asian Games, and many others. Sejal has won over 140 medals, including the Shivaji Chhatrapati Award as the Best International Sportsperson in her state along with the legendary Sachin Tendulkar in 1991. Upon her retirement from active professional sports, she studied Ikebana for 7 years at the Ohara School of Japan, Bonsai from Indo Japanese Association, and Interior design and took keen interest in shaping Bonsai plants. In 2003, her husband’s career brought her to Dubai, where she decided to form her company Milestone. She soon began to cultivate the reputation of being the best landscape designer in Dubai, designing for the likes of Sheikh Mohammed and creating centerpieces and arrangements for over 80 hotels and restaurants. Between 2003 and 2008, the business began to expand, and so did the scope of her projects. She began to focus on landscaping design and interior design. Milestones offerings expanded to designing and constructing indoor gardens, outdoor gardens, and expansive interior design services. With expansion came new opportunities, and Sejal soon realized that more and more of her clientele were requesting swimming pool design and construction, as well as exterior designs. It was around this time she saw the benefits in developing an internal carpentry factory. Milestone began to design and manufacture external gazebos, pergolas, fences, seating arrangements, beds, studies, wardrobes, panels, ceiling and flooring enhancements, and literally everything in between. 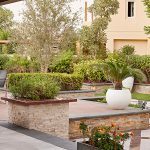 A landscape designer at heart, Sejal’s true passion lies in undertaking individual home garden and interior projects, where she can work closely with her clients. 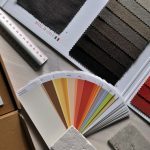 She has great passion and drive to design and construct a variety of unique projects and spaces that will compliment your home, business, lifestyle, and personality. From the beginning of the partnership, she will work with you to design your dream space, turning your dreams into realities. With over 17 years of interior and exterior design experience, coupled with an innovative and strategic mindset, Sejal works passionately to ensure that Milestone provides a wide breadth of exceptional interior and exterior design and construction projects. 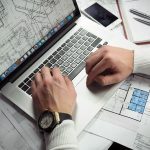 She possesses the skills, educational background, resources, industry connections, and reputation to ensure that each and every project is executed on time, within budget, and beyond expectation. Her competitive spirit, focus, mastery of the subject, and her continual drive for excellence is reflected in Milestone’s work ethic and standards. 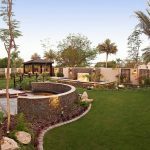 As the premier landscaping designer in Dubai, Sejal absolutely loves what she does and looks forward to connecting with you to explore how she can help bring your wants, needs and ideas to life.